"Spread offense" may also refer to the four corners offense in basketball. The spread offense is an offensive scheme in American and Canadian football that is used at every level of the game including professional (NFL, CFL), college (NCAA, NAIA, CIS), and high school programs across the US and Canada. Spread offenses typically place the quarterback in the shotgun formation, and "spread" the defense horizontally using three-, four-, and even five-receiver sets. Many spread offenses also employ a no-huddle approach. Some implementations of the spread also feature wide splits between the offensive linemen. Spread offenses can emphasize the pass or the run, with the common attribute that they force the defense to cover the entire field from sideline to sideline. Many spread teams use the read option running play to put pressure on both sides of the defense. Similar to the run and shoot offense, passing-oriented spread offenses often leverage vertical (down field) passing routes to spread the defense vertically, which opens up multiple vertical seams for both the running and passing game. The grandfather of the spread offense is Rusty Russell, a graduate of Howard Payne University, in Brownwood, Texas, and coach of Fort Worth's Masonic Home and School for orphaned boys. Russell began coaching Masonic Home in 1927, and due to the fact that his teams were often over-matched physically by other schools, they were called the "Mighty Mites". While there, he deployed the earliest form of a spread offense to great success. Russell's team is the subject of a book by author Jim Dent entitled, Twelve Mighty Orphans: The Inspiring True Story of the Mighty Mites Who Ruled Texas Football. In 1952 Texas Christian University (TCU) coaching legend Leo "Dutch" Meyer wrote a book entitled Spread Formation Football, detailing his ideas about football formations, in which the first sentence was, "Spread formations are not new to football." But Meyer's book introduced the spread to the college game, inspiring Don Coryell among others. In his book, Meyer encapsulated some of the lessons learned during his almost two decades coaching legendary football players like Sammy Baugh and Davey O’Brien at TCU. By lining his receivers and occasionally his backs outside the “box” surrounding the quarterback and the center at the line of scrimmage in a formation that has come to be known as the “Meyer Spread,” also known as the double wing formation, Meyer discovered that it forced defenses to respond by spreading their players. That in turn created natural holes in the line and seams in the defensive secondary. Spreading out the defense reduced the need for power blocking by undersized linemen. But, as Bart Wright notes in his 2013 book Football Revolution: The Rise of the Spread Offense and How It Transformed College Football, Meyer's spread offense was actually “almost the antithesis of a modern spread offense in that it was simply the old Pop Warner offense, with wingbacks – positioned more like slotbacks [or tight ends] today – at each end of the offensive line, separated by approximately two steps from the tackles. The ball came in a direct snap to the tailback, and out of that formation Meyer created confusion with handoffs, fake handoffs, and pivots that slowed the defensive rush to the ball….” While some later football historians and coaches have confused the Meyer Spread, which relied on great quarterbacks like Baugh and O’Brien to pass around 17 times a game on average, with more contemporary spread offenses, Wright concludes that it is “preposterous that Meyer’s offense was any sort of antecedent” to the modern spread offense invented by Jack Neumeier around 1970 (see below). The spread's first evolution came about in 1956 when former NIU Huskies head coach Howard Fletcher adapted Meyer's spread with the shotgun formation to create what he termed the "Shotgun Spread" a more pass-oriented version. Under Fletcher's newly created offense, quarterback George Bork led the nation in total offense and passing in 1962 and 1963. Bork became the first man in college football history to pass for 3,000 yards in a season in 1963 while guiding the Huskies to a victory in the Mineral Water Bowl and the NCAA College Division National Championship. However, few coaches around the country followed events in the NCAA College Division and, therefore, few coaches were aware of Fletcher's offense as run-oriented offenses continued to dominate football at every level of play throughout the 1960s. The football played at the dawn of the 1970s generally featured hard running, ball control football, accented occasionally on third and long by a pass out of a stationary pocket. Football coaches have always tended to be a relatively conservative group, and most of them subscribed in 1970 to the aphorism generally attributed to Darrell Royal, then head coach at the University of Texas: “… three things can happen to you whenever you throw the football, and two of ‘em are bad. You can catch the ball, you can throw it incomplete, or have it intercepted.” Consistent with that sentiment, the Green Bay Packers power sweep, the University of Southern California power I formation and Student Body Right, the Texas Wishbone, the Veer triple option and other variations of ball control, option-oriented rushing offenses that pounded the ball down the field dominated coaches’ playbooks at the end of the 1960s. A more enduring iteration of the spread offense originated with legendary high school coach Jack Neumeier and his 1970 Granada Hills High School Highlanders Los Angeles City Championship football team. Few examples of coaches with successful, innovative passing offenses existed at any level of competition in late 1969. In his 2010 history, Blood, Sweat and Chalk: The Ultimate Football Playbook: How The Great Coaches Built Today’s Game, documenting the development of the game of football dating back to Pop Warner's invention of the single wing in the early 1900s, Tim Layden of '"Sports Illustrated"' credits Neumeier with the invention in 1970 of the modern spread offense, also frequently referred to as the one-back spread or by the phrase "basketball on grass" first utilized by Neumeier in late 1969, which dominates football at every level of football today. But not even the most inventive coach operates in a vacuum. While there is no evidence to suggest Neumeier had heard of Rusty Russell or Howard Fletcher in 1970, Jack Neumeier clearly built his offensive theories upon a foundation established by other coaches. He certainly relied on the work of Glenn “Tiger” Ellison. Ellison, a high school coach from Ohio and a college teammate and friend of legendary Ohio State coach Woody Hayes, published a book, Run and Shoot Football: Offense of the Future, in 1965 that found its way into Neumeier's library. In his book, Ellison describes his desperate experiments with the “departure into insanity” Lonesome Polecat sandlot-style formation in a successful attempt to avoid a losing season in 1958. In the Lonesome Polecat formation, as described by Tim Layden, “the center lined up alone on the ball and the rest of the offensive line was split out far to his left, two receivers far to his right and the quarterback alone in a shotgun formation. The quarterback was encouraged to scramble and to find open receivers.” The initial success of the Lonesome Polecat led Ellison to several years of even more successful tinkering with what came to be known as the “Run and Shoot offense.” Ellison's “Run and Shoot” experiment evolved into a double-slot formation with “split ends uniformly 17 yards from the ball, but no closer than six yards from the sideline. Blocking schemes were identical for runs and passes, so as not to tip off the defense, and Ellison’s players made a sincere effort to make ‘every pass look like a run and every run look like a pass,’” according to Layden. The offense used motion and receivers changing pass routes based on the reactions of defenders. Ellison’s offense clearly served as the most important inspiration and the foundation for Neumeier. But Neumeier then took Ellison’s ideas and synthesized something even more innovative than the “Run and Shoot.” Combining motion, four wide receivers, an occasional no-huddle series and a power running game, along with blocking innovations designed for an undersized line added to the mix by his offensive line coach Jack Mathias, Neumeier's great experiment in 1970 and his tinkering during subsequent seasons took football offenses in a new direction. Another piece of the puzzle Neumeier assembled preparing for the 1970 season came from Red Hickey during Hickey's stint coaching the San Francisco 49ers. Hickey first utilized the shotgun formation in a 1960 NFL game against the Baltimore Colts. The shotgun, based on an old short punt formation that dated back to the World War I era, which Pop Warner then updated as a double wing formation in the 1930s at Stanford, featured the quarterback setting up for a long snap seven yards behind the center. Hickey thought it might help to slow the Colt pass rush and give the 49ers quarterback another second or two to spot his receivers. A brief sensation for the 49ers, Hickey's shotgun formation only lasted for the final few games of the 1960 season and a few games into 1961. Opponents soon neutralized the formation when they realized that their defenses could take advantage of the need for the center to focus on the long snap before making his block. Linebackers blitzing up the middle collapsed the pocket protecting 49er quarterbacks. By the end of the 1961 NFL season, football coaches universally agreed that the shotgun formation was dead and buried, until Jack Neumeier resurrected it as part of the new spread passing offense he synthesized. Today, most football teams utilize some form of the shotgun, although it has continued to evolve into variations such as the pistol formation. The pistol is a perfect illustration of the evolution of Neumeier's theories as other coaches picked up on them and started to make them their own. Neumeier's epiphany, to take Run and Shoot principles and add his own tweaks, turning the Run and Shoot into “basketball on grass,” evolved into today's spread offenses. But there are other coaches – Sid Gillman, Don Coryell, Bill Walsh, Dutch Meyer, Rusty Russell and Mouse Davis – whose brilliant creativity has caused some football writers to suggest that they actually deserve credit for creating the spread offense. While their football theories and successes may have helped to inspire Jack Neumeier, Tiger Ellison and Red Hickey served as Neumeier's principal inspirations. Sid Gillman, after a long career, coached the San Diego Chargers throughout the 1960s. Before his lengthy stint with the Chargers, he coached the Los Angeles Rams. An innovator with the use of motion and passing in football offenses, Gillman also revolutionized the use of game films to study opposing teams. As a trademark of his offenses, Gillman utilized the forward passing of his talented quarterback John Hadl to Hall of Fame split end Lance Alworth and flanker Gary Garrison to open up defenses for the Chargers’ rushing game and to move the ball down the field. Gillman continued coaching off and on into the 1980s. During a stint working with the Los Angeles Express of the short-lived United States Football League during the early ‘80s, Gillman became a leading advocate for what some sportswriters referred to as the “ace” formation, a variation of the one-back spread offense that evolved after Jack Neumeier's retirement from coaching. “’I think the ace formation will gradually take over as the best way to play football,’ said Gillman, regarded as one of the game's great offensive strategists of the last 100 years. ‘Years ago, the coaches spent the 1940s converting to the T-formation – which most of them didn’t like at first. So I won’t be surprised if it takes most of the 1980s to change over to another new formation. The ace is [football’s] most important new strategic scheme since the T came in.’” Oates gave credit to Gillman protégés Joe Gibbs and Don Coryell with the Washington Redskins and San Diego Chargers, respectively, for developing the offense with only a single back remaining with the quarterback in the backfield. But none of them had developed these ideas when Jack Neumeier began testing his invention in 1970. Sports historians have called Gillman the “father of the passing game,” and his focus on studying game films certainly influenced most football coaches by the early 1960s, including Jack Neumeier. While Gillman's innovations with the passing game inspired many followers, neither Gillman nor his protégés had utilized the ace formation or developed any other offense resembling the spread as the 1960s came to a close. The head coach of the San Diego State Aztecs during the mid-‘60s, Don Coryell, found inspiration in Sid Gillman’s passing game. Coryell had developed a national reputation as one of the most prominent innovators of the I formation during the 1950s. Coryell brought the I formation with him when he joined John McKay’s coaching staff at USC for a short stay in 1961, and it became the signature power running formation at what came to be known as Tailback U under McKay and his successor John Robinson. After his arrival at San Diego State, Coryell would periodically bring his Aztec players to watch Gillman’s Charger practices. They made an impression. Many of Gillman’s innovations with football offenses would appear in Coryell’s game plans, as Coryell gradually shifted from a power running offense to rely increasingly on the forward pass. But Coryell disavowed any direct inspiration from Gillman’s offense. It would take Coryell another decade before the ideas and concepts he tinkered with in the late ‘60s would evolve into what came to be known as Air Coryell. Building on his experiences in San Diego, Coryell took his offense to new heights while coaching the St. Louis Cardinals during the mid-‘70s. He made further strides with his offensive concepts after the Chargers hired him to return to San Diego in 1978. Relying upon quarterback Dan Fouts and a talented array of wide receivers, Coryell’s innovations included sending up to four receivers downfield, with backs in motion and instructions to his quarterbacks to read their receivers in the pattern from deep to short while concentrating on the importance of a quick release. Football aficionados can trace Coryell’s focus on spacing and downfield movement and separation between receivers back to Dutch Meyer’s 1952 book, "Spread Formation Football." Coryell's emphasis on precisely timed and executed pass routes now seems like the norm at all levels of football. But Don Coryell had just begun experimenting with all of these elements in 1970. Around that same time, after two years working as an assistant coach for Al Davis’ Oakland Raiders, which exposed him to some of the passing concepts Davis had picked up as an assistant to Sid Gillman, Bill Walsh had accepted a position as the quarterbacks and receivers coach for the Cincinnati Bengals. The Bengals, then a new expansion franchise under head coach Paul Brown, one of the great innovators in football history, had lost promising young quarterback Greg Cook during the 1969 season to a career-ending rotator cuff injury. After acquiring Virgil Carter to replace Cook during the autumn of 1970, Walsh designed an offense tailored to Carter's strengths – his mobility and ability to read defenses and make decisions on the run – as well as his deficiencies. Carter had a notoriously weak arm and was short by NFL standards for a quarterback, making the then conventional seven-step dropback into a stationary pocket for passing problematic. Tall, strong pass rushers found on every NFL defensive line in 1970 would bury the undersized Carter in the pocket. In response, Walsh created an offense that incorporated designed scrambles, short three-step dropbacks and quick, perfectly timed horizontal patterns that allowed the Bengals to control the ball and move it down the field. Like Don Coryell's offense, Walsh's offense relied on precise timing between the quarterback and his receivers. Unlike Sid Gillman's system and Air Coryell, which always were looking for the vertical long ball opportunity, Walsh's offensive scheme, which improved following the 1971 arrival of Ken Anderson at quarterback for the Bengals, focused more on short routes by sure-handed receivers. Walsh himself credited many predecessors for inspiring his genius. His inspirations included Clark Shaughnessy, particularly for his use of motion while turning around the football program at Stanford in 1940 with an innovative new offense built around the T formation. Walsh and others initially referred to his new ball control passing offense as the “nickel and dime” offense, because of its reliance on short 5- and 10-yard gains to move the ball consistently down the field. Despite its origins in Cincinnati, it became known as the West Coast Offense during the mid-‘80s after Walsh became head coach of the San Francisco 49ers in 1979 and perfected the offense. Walsh paired his coaching brilliance with the physical talents of Joe Montana at quarterback and an array of receivers including Dwight Clark, Roger Craig and Jerry Rice who were strong enough to take a beating while turning the ball upfield after catching a short pass. Football historians have attributed the naming of Walsh’s offensive scheme to head coach Bill Parcells after his New York Giants clobbered the 49ers in a 1985 playoff game and Parcells mockingly asked “So what do you think of that West Coast Offense now?” Whatever it was called, Bill Walsh's West Coast Offense was still nothing more than a few disjointed sketches on a legal pad when Jack Neumeier had a team on the field utilizing the spread offense. While Tim Layden has referred to Neumeier in Sports Illustrated as “the godfather” of spread formation football, the title of grandfather of the spread offense probably belongs most appropriately to legendary Texas high school coach Rusty Russell. As noted above, Russell utilized a variation of the spread offense as the coach of the Fort Worth Masonic Home and School for orphans beginning during the 1920s. He thought the spread might help his players, who came to be known as the “Mighty Mites” because of their diminutive size, compete against taller, bigger, stronger and faster opponents, much like opposing teams that would dwarf Neumeier's Granada Hills High School team of 1970. Russell's story and the story of his players are encapsulated in the book, "Twelve Mighty Orphans: The Inspiring True Story of the Mighty Mites Who Ruled Texas Football" (2007), by sportswriter and author Jim Dent, so it is clear that variations of a spread offense existed for almost 50 years when Jack Neumeier experienced his epiphany in late 1969. In both cases, it is clear that the coaches came up with similar solutions when confronted with undersized teams that could not compete and win utilizing “conventional” offenses. However, it is unlikely that Jack Neumeier had ever even heard of Rusty Russell or his Mighty Mites as he began designing his new offense in 1969. A few years after Jack Neumeier sat pondering enhancements to Tiger Ellison's Run-and-Shoot, Darrel “Mouse” Davis attracted national attention during the early 1970s by incorporating many of Ellison's theories into his game plans at Hillsboro High School in Oregon. They culminated in Hillsboro winning the Oregon state championship in 1973. His success at Hillsboro in turn led Davis to Portland State the following year, initially as offensive coordinator and later as head coach. At Portland State, Davis became the most visible acolyte of Ellison's offensive theories. During his tenure there, Davis coached quarterback legends like June Jones and Neil Lomax. Davis’ success built on Portland State's successful passing attack led during the 1969 and ’70 seasons, coincidentally, by one of Jack Neumeier’s most talented quarterbacks of the mid-‘60s at Granada Hills High School, Tim Von Dulm. Mouse Davis, who came by his sobriquet as a result of his stature as a 5’5” 135-pound college quarterback, loved to refer to fellow undersized football players as “pissants.” He relished the opportunities the Run-and-Shoot created for pissants matched up against stronger, larger, faster opponents on the playing field. The option reads and pass routes of the Run-and-Shoot allowed the receivers to react to the defense and the quarterback to then read the receivers reacting to the defense. The quarterback would throw the football to a predetermined spot based on those predictably programmed reactions. At the same time, Ellison's offense neutralized the advantages enjoyed by larger, speedier players in favor of the intelligence and physical agility required for success with the Run-and-Shoot. While Ellison's Run-and-Shoot also inspired Jack Neumeier, Neumeier almost certainly had no familiarity with Mouse Davis or Davis’ offensive schemes as Neumeier put his spread offense into action in 1970. Nobody dreamed in 1970 that Coach Neumeier's new and innovative one-back spread offense would gradually percolate throughout the football world and eventually become football's dominant offense. In a chapter in Tim Layden's "Blood, Sweat and Chalk" entitled “The One-Back Spread: An L.A. high school coach took a chance and launched an offense – and John Elway and Drew Brees with it,” Layden talks about the “radical change” introduced by Neumeier with his 1970 Highlanders and his “wide-open spread game.” But it took some amazing luck for Coach Neumeier's football ideas to achieve national attention and ultimately dominance. As they frequently do, following the remarkable success of his 1970 team, other coaches talked about Neumeier's offense and began to incorporate elements of it into their own offensive schemes. Other local high school coaches – mostly competitors – saw it, liked it, copied it and began to utilize it. Today, there are books written about Neumeier's offense. Coaching workshops introduce coaches to the one-back spread and teach them how to implement it. They also teach coaches how to defend against it. For several years after the extraordinary success of his 1970 Granada Hills championship team, Jack Neumeier continued to labor in relative obscurity. While continuing to look for ways to enhance his spread offense, Coach Neumeier never matched the success of his 1970 team. His subsequent teams fairly regularly made it to the Los Angeles City playoffs, but Neumeier's teams would win no more championships. He continued to field teams utilizing the one-back spread offense over the next few years, whether they possessed the unique physical and intellectual skills of his 1970 Granada Hills players or not. Along the way, Neumeier evolved from a “three-yards-and-a-cloud-of-dust guy” in the words of his former assistant coach Darryl Stroh to “a tireless student of the passing game.” Over the next few years, Neumeier's reputation as an innovator began to spread throughout the football coaching community. Jack Elway, who played quarterback himself during his playing days, arrived in the spring of 1976 as the new head football coach at California State University Northridge after serving as offensive coordinator at his alma mater, Washington State. Before his arrival at CSUN, literally down the street from Granada Hills High School, Coach Elway went looking for a coach and a high school football program that would nurture the budding talents of his son John, who had played 9th grade football in Washington. Jack Elway heard about Neumeier through the coaching grapevine and the two immediately hit it off. With John entering the 10th grade and Granada Hills High School – still a three-year high school – located literally a few blocks down the street from the Cal State Northridge campus, the Elways moved into the neighborhood. Neumeier ran precisely the type of offense Jack Elway imagined for his son John, a tremendous all-around athlete. But John Elway envisioned himself as a running back on the football field as he entered high school. Fortunately, Jack Elway had already begun to work on persuading his son to rethink his options. When John Elway met Jack Neumeier during the summer of 1976, it took almost no time at all for the seasoned Scot coach to persuade John to give up his dreams of following in the footsteps of his idol, running back Calvin Hill. Instead, Neumeier helped John to imagine himself as a quarterback and the focal point of the Granada Hills spread offense, originally designed for the incredibly accurate passing skills of Neumeier's 1970 Granada Hills High School quarterback Dana Potter. Potter would help coach the newly arrived 10th grader in the nuances of the spread. Little did Jack Neumeier realize at that moment that, with Elway's arrival at Granada, he would evolve his offense to highlight the rifle arm of a future NFL Hall of Famer. In fact, Elway would rapidly grow and mature into a 6’3 185 pounder by the start of his 11th grade season, ironically taller and heavier than four out of five of the offensive linemen on Neumeier's 1970 championship team. Years later, in an interview with a reporter for the Denver Post, John Elway stated that Jack Neumeier “was the guy who made me fall in love with football at the quarterback position.” Part of that love affair centered around Elway's experiences playing quarterback in the one-back spread offense that Neumeier created in collaboration with his assistant coaches and their 1970 City championship Granada Hills team. Jack Elway began to utilize the one-back spread in his offense at Northridge during the 1978 season. He took it with him when he became head coach at San Jose State a year later. During his tenure at San Jose State and later at Stanford, Jack Elway became an even more successful proselytizer for the one-back spread offense. Elway worked with Jack Neumeier to teach the offense to a number of prominent members of the coaching profession, most significantly Dennis Erickson. Erickson served as Jack Elway’s offensive coordinator at San Jose State. Over the next few years, Erickson tinkered with the Neumeier offense and then took it with him to subsequent head coaching positions. Erickson coached during the ‘80s at Idaho, Wyoming and Washington State, before arriving as head coach at the University of Miami in 1989. At Miami that year, Erickson won the first of two NCAA national championships with Neumeier’s offense, winning again in 1991 and losing the national title game in 1992, with Gino Torretta winning the 1992 Heisman Trophy quarterbacking out of the one-back spread. Erickson’s success at Miami brought even more coaches from all over the country to learn the intricacies of Jack Neumeier’s offense. Erickson later moved on to head coaching positions in the NFL with the Seattle Seahawks and the San Francisco 49ers and in the college ranks at Oregon State and Arizona State, continuing to spread the word about Neumeier’s offense wherever he went. Later, as the running backs coach at the University of Utah, Erickson continued to serve as a leading advocate for the one-back spread. Mike Price, a high school teammate of Dennis Erickson, once described Neumeier’s offense to a reporter for the New York Daily News as “basketball on grass” – Jack Neumeier's own description of the one-back spread offense. Price installed the Neumeier one-back spread at Weber State when he became the head coach there in the late 1970s and then inherited Erickson's offense when Price took over as head coach at Washington State following Erickson's departure. Price utilized the offense during his time as head coach at Washington State, taking his team to the 1997 Rose Bowl, which attracted additional attention to Neumeier's offense. Similarly, when Joe Tiller succeeded Dennis Erickson as head coach at Wyoming, Tiller simply left in place the one-back spread offense that Erickson installed during his tenure there. Tiller says that, “People have asked me for years how I learned this offense. I tell them, ‘Dennis left his playbook at Wyoming.’ And that's absolutely the truth.’” But the other element of the story is that Tiller, who coached with his buddy Jack Elway at Washington State during the mid-1970s, had begun hearing about the Neumeier one-back spread from Elway in 1979. Tiller went on to become an outstanding college head coach at Purdue. At Purdue, Tiller utilized the one-back spread offense again with tremendous success. His quarterbacks at Purdue playing out of the one-back spread included Kyle Orton and Drew Brees, among others. In 2000, Brees led the Boilermakers to the Rose Bowl with Neumeier’s offense. Tiller’s teams forced the Big Ten to adapt to the challenges posed by the wide-open one-back spread. In a chapter from his 2012 book "The Essential Smart Football" entitled “The Evolution of Urban Meyer and His Spread Option Offense,” Chris Brown identifies Dennis Erickson as one of the “spiritual fathers” of Meyer's spread/single wing hybrid offense. Meyer refined his offense at Bowling Green, Utah and Florida, where he won national championships in 2006 and 2008 and coached the 2007 Heisman Trophy winner, Tim Tebow. Most recently, Meyer's offense has enjoyed remarkable success at Ohio State since he took over as head coach for the 2012 season, winning the 2014 national championship. 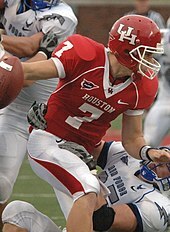 Meyer, according to Tim Layden, learned his passing attack “from Louisville and offensive coordinator Scott Linehan (who played at Idaho for Dennis Erickson and would later become offensive coordinator for a number of NFL teams and head coach of the St. Louis Rams).” Linehan credits Dennis Erickson for his own approach to football offenses. Brown confirms this lineage for Urban Meyer's offensive theories and success, also connecting the Ohio State coach to Joe Tiller and Rich Rodriguez, among other coaches who have built successful careers coaching variations on the one-back spread offense. So at least some of Urban Meyer's theories about football offenses, leading to Ohio State's most recent national championship, trace directly back to Jack Neumeier. Today, virtually every NFL, college, high school and youth league football offense shows clear signs of Coach Neumeier's influence. Fans can watch elements of Neumeier's offense at every level of play, from peewee league scrimmages to NFL Super Bowls. In the 2016 College Football Playoff National Championship bowl game and the 2016 Super Bowl, all of the offenses were direct descendants of the turbocharged “basketball on grass” offense that Jack Neumeier created out of desperation for his undersized 1970 Granada Hills High School football team. His offense continues to live on and thrive years after Jack Neumeier's death in 2004. While it took decades for Cactus Jack's Aerial attack – the up-tempo one-back spread offense – to percolate throughout the football world, there is no doubt that Coach Neumeier's theories and the success of his 1970 team changed that world forever. The "Spread Offense" was popularized in the US in the mid to late 80s with coaches trying to spread out defenses and dictate defensive personnel with a 4 receiver set without having to rely as much on QBs, receivers, and running backs making the correct reads on every play. While early versions of the spread were sometimes quite limited, modern coaches like Joe Tiller (Purdue), Jerry Moore (Appalachian State), Mike Leach (Washington State), and Mark Helfrich (Oregon) and most recently Urban Meyer (Ohio State) have taken the spread offense to a new level. High school coaches across the nation have adapted some version of this scheme with great success, notably Todd Dodge at Southlake Carroll High School in the Dallas-Fort Worth area (now at Austin Westlake High School in Austin, TX), Art Briles at Stephenville High School in Central Texas and the Houston Cougars (then at Baylor), Gus Malzahn at Springdale High School in Arkansas (later the offensive coordinator for the Arkansas Razorbacks and Auburn Tigers, and now the Auburn head coach). Legendary coach Dale Mueller at Highlands High School in Fort Thomas, Kentucky has pioneered new aspects of the spread offense since 1995. In his 16 seasons as head coach, he has led Highlands to a record of 214 wins and 30 losses, and won 10 of their record 21 state championships. The basic pre-snap appearance of the spread offense is constant—multiple receivers on the field. Most contemporary versions of the spread utilize a shotgun snap, although many teams also run the spread with the quarterback under center. Jack Neumeier's 1970 iteration of the spread offense utilized both formations. In addition, the actual execution from those formations varies, depending on the preferences of the coaching staff. While most of these are balanced offenses, such as the one utilized by Larry Fedora's North Carolina Tar Heels, several sub-forms also exist. One of the extreme versions is the pass-oriented Air Raid typified by Hal Mumme in the late 1990s at the University of Kentucky. Coaches that employ this version of the spread are Mike Gundy's Oklahoma State Cowboys, Dana Holgorsen's West Virginia Mountaineers, Mark Stoops's Kentucky Wildcats, Gary Patterson's TCU Horned Frogs, Mike Leach's Washington State Cougars, Mike Norvell's Memphis Tigers, Kliff Kingsbury's Texas Tech Red Raiders, Lincoln Riley's Oklahoma Sooners, Dino Babers's Syracuse Orange, and Kevin Sumlin's Arizona Wildcats. This version employs multiple spread sets and is heavily reliant on the quarterback and coaches being able to call the appropriate play at the line of scrimmage based on how the defense sets up. Current SMU Mustangs head coach Sonny Dykes, who coached under Mike Leach at Texas Tech, uses a variant of the Air Raid that makes more use of the running game and tight ends and running backs in the passing game. The Run & Shoot associated with June Jones is a well-known variant of the Air-Raid. Former Middletown (Ohio) High School football coach Glenn "Tiger" Ellison is hailed by some as the father of the Run & Shoot offense; however, the scheme (which was originally started as a run-first offense in 1958) has evolved over the past 45 years into a much more complex scheme. The spread option is a shotgun-based variant of the classic triple option attack that was prevalent in football well into the 1990s. Notable users of this offense include Urban Meyer's Ohio State Buckeyes, Mario Cristobal's Oregon Ducks, Chip Kelly’s UCLA Bruins, Scott Frost’s Nebraska Cornhuskers, Gus Malzahn’s Auburn Tigers, and Dan Mullen's Florida Gators. The spread option is a run-first scheme that requires a quarterback that is comfortable carrying the ball, a mobile offensive line that can effectively pull and trap, and receivers that can hold their blocks. Its essence is misdirection. Because it operates from the shotgun, its triple option usually consists of a slot receiver, a tailback, and a dual-threat quarterback. One of the primary plays in the spread option is the zone read, invented and made popular by Rich Rodriguez. The quarterback must be able to read the defensive end and determine whether he is collapsing down the line or playing up-field containment in order to determine the proper play to make with the ball. A key component of the spread option is that the running threat posed by the quarterback forces a defensive lineman or linebacker to "freeze" in order to plug the running lane; this has the effect of blocking the target player without needing to put a body on him. A third version of the spread offense is the Pistol offense used by Brian Polian's Nevada Wolf Pack, Dabo Swinney's Clemson Tigers and some US high schools. Developed by Chris Ault, the Pistol focuses on using the run with many offensive players, and it calls for the quarterback to line up about three yards behind the center and take a short shotgun snap at the start of each play. Instead of lining up next to the quarterback like in the normal shotgun, the tailback lines up behind the quarterback at normal depth. This enables him to take a handoff while running toward the line of scrimmage, rather than parallel to it as is the case from the standard shotgun. Since Ault installed the Pistol in 2004, his Wolf Pack has been among the NCAA's most productive offenses. In 2009, they led the country in rushing and total offense, and were also the first team in college football history to have three players rush for 1,000 yards in the same season. Recently, use of the spread has led to new defenses, most noticeably the 3-3-5. Traditional defenses use 4 or 5 down linemen sets to stop an offense, but with the growing number of spread offenses, teams are looking to smaller, faster defensive players to cover more of the field. The strategy and philosophy behind this thinking has been widely debated and many coaches have found success using a 30 front, or using a 40 front against the spread. Versions of this scheme have also been used by professional teams, beginning with the Seattle Seahawks under Dennis Erickson in 1995. Erickson has repeatedly credited Jack Neumeier with teaching Erickson the spread initially while Erickson was the offensive coordinator for San Jose State during the late 1970s. Although the Seattle Seahawks, Washington Redskins, and San Francisco 49ers had implemented the spread between 1995 and 2004, the scheme didn't begin having prominent success in the NFL until the 2007 New England Patriots utilized the spread with quarterback Tom Brady and wide receivers Randy Moss, Wes Welker, Donté Stallworth, and Jabar Gaffney. In addition, the San Diego Chargers (1980s) and the various West Coast schemes developed by Bill Walsh and the San Francisco 49ers (1980s) built their offenses, in many ways, on Ellison's and Davis' designs. The 2008 Miami Dolphins also implemented some form of the spread offense in their offensive schemes. Lining up in the "wildcat" formation, the Miami Dolphins, borrowing from Gus Malzahn's college spread offense, “direct snap” the ball to their running back, Ronnie Brown, who was then able to read the defense, and either pass or keep the ball himself. The spread offense is generally not used as a team's primary offense in the NFL. NFL defenses are usually faster than college defenses, which allows the vertical seams created by the formation to close up more quickly. In addition, the quarterback is more vulnerable to injury since he is the ball carrier more often than in a typical pro-style offense (thus, getting tackled more) and the amount of protection is decreased with the backs and receivers being used to spread the defense instead of providing pass protection. Since the level of talent between the starting quarterback and the backup is generally much greater than with a typical college team, NFL teams are more protective of their quarterback. With that said, this has been changing in recent years with Chan Gailey in 2008 with the Kansas City Chiefs utilizing Tyler Thigpen at quarterback and now to the Buffalo Bills. The Green Bay Packers have also been running a lot of plays from spread formations with quarterback Aaron Rodgers. In recent years, the spread offense has become a very popular term used in context of the high school game with the offense's innovative ways to make the game faster and higher scoring. While it has changed the game, and teams that successfully run it are scoring more points, there is debate whether the offensive system is as effective as it seems. Some coaches have taken to packaging their offensive system and marketing them to programs around the country, such as Tony Franklin, who served as an assistant coach at the University of Kentucky under Hal Mumme where he developed his offense based on Mumme's "Air Raid" system. Manny Matsakis being another example as he is the inventor of the Triple Shoot Offense, which is a spread set with forms in the Shotgun, Pistol and under center. Matsakis was an assistant coach under both Mike Leach at Texas Tech and Bill Snyder at Kansas State. He is currently the head coach of Enka High School in Asheville, North Carolina. As a reaction to the success of the spread offense in high-profile colleges, such as The University of Florida, innovative high school coaches began retooling the system to work on high school teams. Now the system has become quite widespread, with numerous schools achieving success. Defenses are left with the challenge of defending more of the field than ever before, and the offense was given the advantage of having numerous running and passing lanes created by the defense being so spread out. ^ "Spread traces its roots to Depression-era Texas high school football". ESPN. 2009-07-20. Retrieved 2009-07-20. ^ "Old Is New New Is Old Back To The Future With The Single Wing". Sports Illustrated. 2008-12-01. Retrieved 2009-07-20. ^ "Gus Malzahn Named Auburn Head Football Coach". CBS Interactive. 4 Dec 2012. Retrieved 19 April 2014. ^ "Playbook - The spread offence" (PDF). Retrieved 19 April 2014. ^ Battista, Judy (2008-10-11). "A Wildcat Is a Tiger by the Tail for Defenses". The New York Times. ^ Brown, Scott (March 8, 2009). "Spread offense adds new wrinkle to draft". Retrieved 19 April 2014. ^ "Pro Football Statistics and History - Pro-Football-Reference.com". Pro-Football-Reference.com. ^ Wentworth, Bridget. "Spread offense gaining in popularity with high school football programs around state". Retrieved 19 April 2014. ^ "Alternative Concepts Within the Spread Offense". SportsWorkout.com. Retrieved 19 April 2014. ^ "Welcome to the System!". Tony Franklin Football. "Has the spread offense reached its apex?"